If You Use Coupons, You're Going to Love This Giveaway! Do you want to organize your coupons and not sure where to begin? We are here to help! 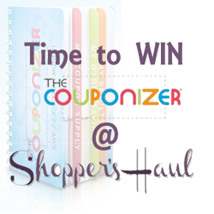 Make sure to stop back on February 15 when we start our Couponizer Coupon System giveaway!! One lucky reader will be able to take couponing to the next level with a system that will help keep you organized! Will you have pictures of the couponizer? I like to check out what I am entering and see if it will work for me. Thanks!